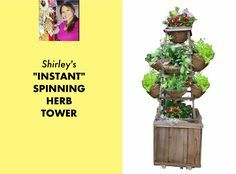 Watch Shirley’s video on how to grow cabbage! Learn how to grow cabbage step by step, it’s easy and an ideal vegetable for the beginner or passionate foodie gardener! Growing cabbage in winter or spring, during the cool season, is prime time for this cole crop where cold temperatures impart a sweeter flavor to cabbages including Napa cabbage, green cabbage, Savoy cabbage, red cabbage, and bok choy! Homegrown green and red, purple cabbage. *How big does cabbage grow? *How much water does cabbage need? *What kind of fertilizer does cabbage plant need? *How far apart do you space cabbage plants? * How do you protect cabbage from frost? *What is the ideal temperature for growing cabbage? *When is cabbage harvest time? There is nothing more delicious than homegrown cabbage! Watch Shirley’s video and start growing today! Join Shirley’s community of Foodie Gardeners on Facebook! Feel free to ask questions there. Please subscribe to the Foodie Gardener Blog for updates on new posts, giveaways, and upcoming contests! Shirley Bovshow explains how to grow beets. There are many different varieties of beets and they are all delicious and nutritious! Foodie Gardener, Shirley Bovshow introduces us to some different beet types and explains how to grow beets at home. Have you ever tried a gourmet, edible flower popsicle? I got together with Cristina Ferrare on the Home & Family show a few years ago to make Prosecco Floral Popsicles. I was a fan of flowers and ice ever since! I had the pleasure of biting into a tangy, juicy, and not-too-sweet Honey Lemonade popsicle created by Eden Passante recently. The treat was extra special since I got to sit next to Phil Keoghan, host of the Amazing Race, who was guest hosting on my Home & Family show! Of the three popsicles we tasted that day, the Honey Lemonade with edible flowers was Phil’s favorite and mine. This recipe hits the mark for taste and beauty. Make a batch of these beautiful popsicles for a special occasion or for your family to enjoy! Credit: © 2018 Crown Media United States, LLC | Photo: jeremy lee/ Alexx Henry Studios, LLC. As the gardening expert on the Home & Family show, I appear twice a week and dig into many different plants and design ideas. I meet many interesting people and found out that Phil Keoghan’s father worked as an agronomist and invented the original Weed Whacker! If you are not already a fan of the show, I invite you to watch Home & Family on the Hallmark channel, weekdays at 10 am pst! 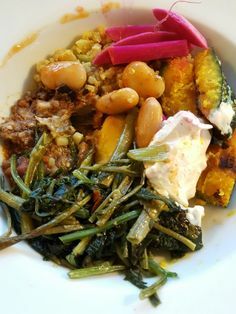 Please subscribe to my Foodie Gardener blog and join the active community of other Foodie Gardeners on my Facebook Page!